Well the snow finally showed up this week. Despite that, there has been some activity out on the water. Not much has changed from last week, except the temps are colder. 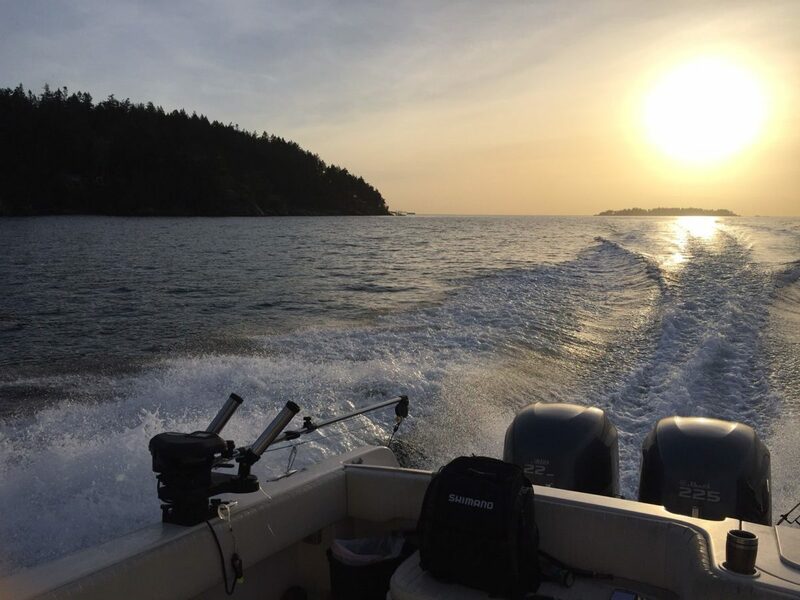 There continues to be fish caught in Howe Sound and Vancouver Harbour and the odd report of fish over in the Gulf Islands. It is officially time to break out the heater if you are heading out this weekend. With daytime temps of 2-3 C expect it to be cold out on the ocean! Might not be the best weekend to head up Howe Sound either. The outflow winds look like they will be in full force and the wind chill will make it pretty darn cold. This would be a good weekend to try a little closer to home like from Cap Mouth up to the Pink Apartment on the flood or the Bell Buoy and Freighters on the ebb. The Bell is a good choice on the flood too for that matter. Either way, dress warm, bring lots of hot coffee, and don’t forget to drop some crab traps too. Lars threw some prospect pots out the other day and did quite well. In terms of gear, we have covered that in depth on previous reports. So the usual flashers and spoons fished close to the bottom are the way to go. If you are looking for some, we have our Boxing Week Sale coming up and there will be some good deals on popular flashers and spoons, as well as crabbing and prawning gear. We are getting lots of calls for winter chinook charters and don’t forget that a fishing trip makes a great gift. If you would like to book a trip or purchase a trip as a gift, please give Lars a call at 778-788-8582. Have a great Christmas and we will see you out on the water or in the shop.